Let Instant Imprints help you with your next project - large or small. With our print services, there are no press set-up or printing plate fees. With our lightning fast turn-around time, Instant Imprints is perfect for your projects with a tight deadline. We can print on a variety of paper stocks using your design - or let one of our Image Experts design it for you! With our state-of-the-art printers, we can produce small quantities of high-quality color products at prices everyone can afford. Are you looking to print business cards, posters, flyers, brochures or any other type of custom printing? Look no further than your local Burlington Instant Imprints® Print Shop! We provide you with state-of-the-art production processes and design options to fit your marketing needs. It’s important to use high quality printed marketing materials as these reflect the quality of your business to the public. Our Burlington Print Shop combines the skills that make Instant Imprints a global leader in printed goods with the local touch of our Image Experts. The level of professionalism that you get when you utilize our printing services far exceeds those that you get when in-office or second-rate production methods. Combined with custom promotional products, your custom posters, flyers and brochures are sure to make their mark on potential customers. Page by page, you’ll be stacking up your brand visibility with Instant Imprints! At first glance, it may seem that printing your own materials at home or in office may be the most cost-effective solution, but this is incorrect. Methods such as these often lead to costly revisions that end up wasting your time and money. In addition, the quality just doesn’t match up to a professional print shop with these methods. At Instant Imprints in Burlington, you can be sure you’re getting the job done right the first time, with the confidence of knowing you’re using the best print shop in Ontario. In addition, our timely turnaround means that you get your finished product on time or early. If you need help finalizing your designs, our Image Experts can help you every step of the way. Finally, working with our Burlington Print Shop means you can scale your production to levels that would be unrealistic from a home or office printer. Whether you need just a few fliers or thousands of them, you’ll be getting the numbers you need with a professional quality from beginning to end. Your marketing needs will be met with style in a way that is uniquely your brand. When you embark on a new marketing plan, it’s important to stand apart from the competition. By using a wide variety of custom printed goods, your logo can reach more people with the repeated exposure needed to drive sales. You can create targeted campaigns that are catered specifically to certain demographics, which help customers personally connect with your brand. Once you have the marketing tools you need, you can create campaigns that help you make the most impact on potential customers. 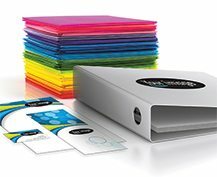 No matter what your promotional goals are, your local Burlington Instant Imprints Print Shop can help you print whatever your business needs. Get your project printed right, all under one roof. No other printing services provider can give you the world-class service combined with a local Burlington touch like Instant Imprints can. Stop in by our showroom today, give us a call at (905) 637-2828 or request a quote online to get your custom print job started today.